©Copyright Peter MacDonald. All Rights Reserved. The images I have been posting about Lake Frome in recent times have centred around a sand dune location at the edge of this giant salt lake. 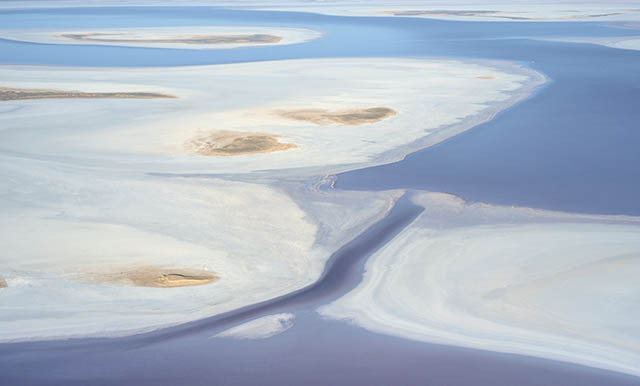 It is hard to imagine the size of Lake Frome and like the work I did around Lake Eyre to the north, the images posted here are trying to illustrate that. The winds that blows across the lake reshape these dunes back and forth almost daily. 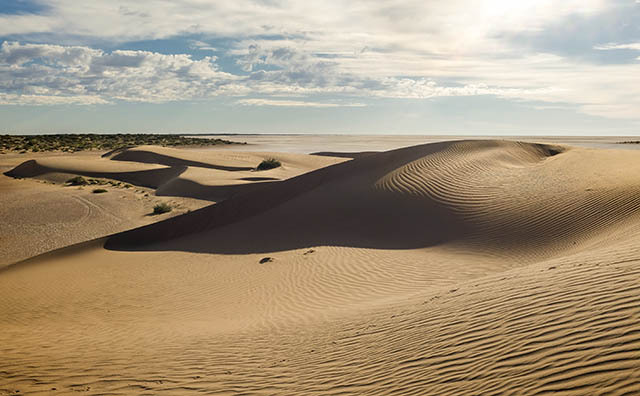 Apart from the occasional animal that climbs the dunes or the wandering photographer, the winds erase footprints and and constantly change the beautiful shapes and ripples. In short, it almost always looks pristine. However the extent of this unusual formation is only truly seen from the air. This photograph shows the fine, clean sand surrounded by the salt lake on almost all sides. 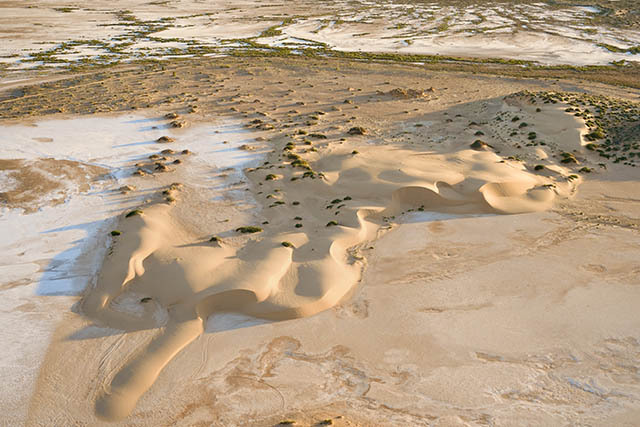 There is an equally beautiful relationship between sand and salt to be found far out on the surface of Lake Frome. Windblown is truly beautiful. Thank you.